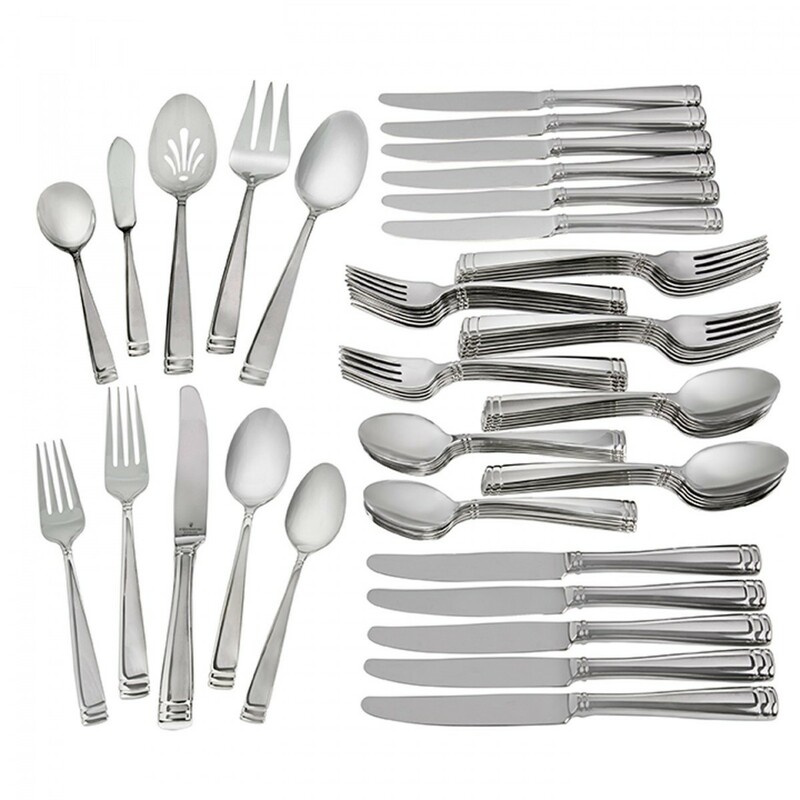 What was the inspiration for your Sasha Nicholas Registry (such as a certain color, a custom monogram, family china, etc.) ? I wanted something classic and timeless and simple that I would love forever. I was seeing blues on a lot of different registries so I wanted to do something different and once the black caught my eye, I fell in love with it and couldn't go back. It was also important to me that it wasn't too feminine. My husband was super laid back in letting me make wedding and house decisions but I wanted it to be something he loved too and being able to add in the "L" for our last name, Looney, was really cool for him. Another item that I love about the pieces we chose (and really all place settings at Sasha Nicholas) is the ability to mix and match. 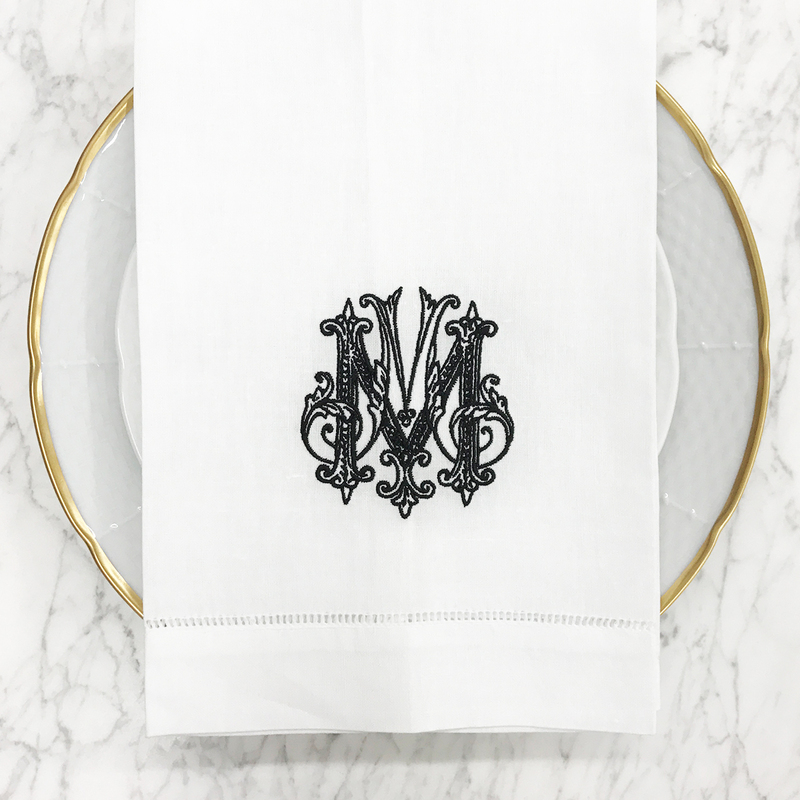 I wanted something that if, in 20 years, I wanted to switch up the look, I could easily just change out 1 plate and it would be like a whole new place setting. What Sasha Nicholas registry gift you would recommend as a “must” to other couples? Or do you have any advice for couples beginning a registry at Sasha Nicholas? Besides our china setting, the Champagne Bucket is by far my favorite. We have the Fleur de Lis design with our "L" and it is so gorgeous. I never tire of looking at it. We currently have it sitting on our bar filed with some faux flowers. You can use it so many different ways as a decor piece and then obviously to hold champagne. I love looking at the Sasha Nicholas Instagram account for inspiration on different ways to use the pieces we have. I believe when I registered I had the option of allowing guests to write a personalized note. I would HIGHLY suggest this. We received some of the kindest notes that will remain on these pieces that we will have forever that will always take us back to that special time of our wedding. And we will never forget who gave it to us! And if the purchaser decided not to write a personal note, we had a generic note with our names and wedding date printed on bottom which will help my husband if he forgets our anniversary :) Also its really fun just grabbing a serving bowl out on a typical weeknight for dinner and seeing a personalized note from a friend who lives far away-such a simple gesture but its my favorite thing about what Sasha Nicholas offers. What was your favorite thing about registering with us? Any suggestions to make the process easier? My favorite thing about registering with Sasha Nicholas was the first time I went into the store with my mom and Cindy worked with us to help me choose my china. Cindy had so much knowledge to share and creative ideas and wonderful stories about how the store came to be and her experiences. Not to mention the store is so beautiful you could spend hours in there. Cindy and the Sasha Nicholas team have been incredibly helpful in adding and removing items to my registry or giving me information. I would not have changed anything. I always look forward to trips back to STL and going into the store.